I have been selling Beach Real Estate for over 17 years and lost track of the numbers of years I've been working with Kent Kirkpatrick at American Capital. It has been at least 10 years. There is no other lender or company in the area that gives me more confidence than Kent Kirkpatrick in the ability of my buyers (or that of an agent submitting an offer on one of my listings) to obtain financing. I've always told my buyers that it is a matter of experience, intelligence and integrity when they chose who is going to be their lender. Kent is by far the best lender in the business possessing all 3 attributes and then-some. Kent is #1 on the top of my list to recommend and use as he has never let down me or a buyer down and always closes the loans that he pre-approves. I love too that Kent has the integrity to be up front and call out any issues or problems he sees with a buyer's ability to get financing so the prospective buyer and I are both aware of any potential issues, or that it isn't possible for a buyer to buy at that time. 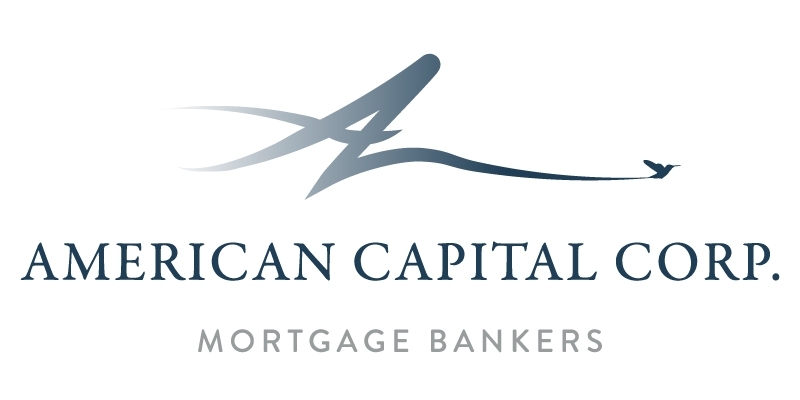 Also, the loan rates and programs offered by American Capital are very competitive with other banks/lenders as well. Kent Kirkpatrick is my lender of choice to recommend and use, and I highly recommend him to others. I began working with ACC many years ago when Allen saved a deal for me that another company had really screwed up. I trust him completely and ACC is the only mortgage company I will refer my clients to. With ACC, I know my clients are getting only the best -- outstanding customer service with great communication and honesty, and of course, results. I highly recommend ACC. We worked with Katie Cravello throughout the process which was complicated at times. Katie was fantastic and always responded quickly and met our needs completely. We've purchased 4 homes and refinanced several times and Katie is the best finance person we've ever worked with. Thank you. My name is Debra Metcalf and I would like to tell you about my experience with Frank Blakeley and American Capital Corporation. Frank was very professional and considerate while dealing with our home loan. From the pre-approval to the Final documents Frank was very helpful. He returned phone calls and e-mails promptly, answered any and all questions we had and even came out to our house in San Bernardino from Orange County for us to sign the paperwork. This helped immensely, since I was purchasing my house with my son-inÃ‚Â­law and we work different hours. Everything was done in such a quick and thorough manner, that we made an offer on our Ã¢â‚¬Å“home to beÃ¢â‚¬Â on March 12, 2011 and we closed escrow April 15, 2011. Frank even worked with us and answered questions after the close of escrow. I believe Frank to be an honest and reliable person and I would recommend him to anyone. Having never navigated the waters of home buying, my wife and I were green to say the least! Randy sat down with us and led us step-by-step to obtain our mortgage. His staff was professional, courteous, and extremely helpful. Buying a home in today's economy is a nightmare if you don't know what you're doing. I am glad there are talented people like Randy and his staff around to make it painless and even enjoyable! ACC was an amazing find! I had been looking for low rates and friendly service without any dishonesty and was happy to discover that ACC had everything I was looking for. Thanks so much for your help! As an owner of a financial services firm as well as a real estate firm, I can assure you that I have worked with many, many, mortgage professionals. Without a doubt, Chasity Lousteau has been the most professional, polished, honest and wonderful person to work with. I work with many individuals on a daily basis regarding their financial and real estate needs. Chasity will remain the one and only person I refer them to. ACC closed my purchase loan in a short period of time and they have been very responsive and helpful throughout the loan process from pre-qualification to final funding! Would definitely recommend ACC to anybody who needs a purchase or refinance loan. ACC did a phenomenal job. Everyone was organized and responsive. We got an excellent rate and we felt that all of the fees were fair. Lic # 01174694 | A.K.T. American Capital, Inc.
LOAN ESTIMATE REQUEST DO NOT REQUIRE CONSUMER TO PROVIDE DOCUMENTATION.